If you have never had to move a car, you may not know that the Amtrak car transport service exists, or that it's a popular service that people use. If you live on the east coast, the Amtrak service is a great solution, because there is a good train network. If you're relocating to somewhere along the Amtrak auto transport train route, it's something that you can use instead of having to employ an auto transport company to move a car by roadway. Why would you use the Amtrak train transport instead of just driving yourself? Well, if you feel like taking a great train ride so that you can relax and enjoy the journey, putting your car on the Amtrak Auto Train is a great idea because you can enjoy the passing scenery, stop by the cafe for a latte and just enjoy the break. What a great way to start your move! The problem with Amtrak auto transport is there are time constraints, as well as location restrictions. You will have to ensure that the train travels near where your destination, as well as starting where you are currently located. If this isn't the case, you may have to drive to a different town to use car transport services. Sometimes this can be quite a distance, at which point you may wonder if it's worth your effort using this method when you could just drive the whole distance. Again, there are limited services available with Amtrak auto transport, meaning not every train going to every location will enable you to move a car. In addition to this, you need to remember that the service is popular and will often book up months in advance, especially on popular routes. Therefore, it's advisable to plan well in advance if you decide that you would like to use the Amtrak auto transport service. So what are your alternatives? 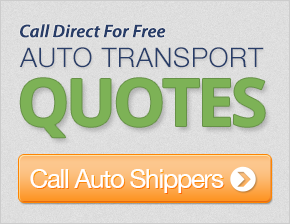 Well you should know that you can also call a car transport company to ship your car. They will be able to relocate to wherever you need, and start from wherever you are located. This means you won't have to drive over a long distance to meet the auto transport company and your car will be in safe hands for the duration of the journey.